Annotated guidance on sources for further reading. 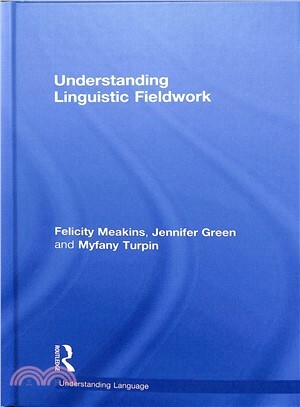 This book is essential reading for students studying modules relating to linguistic fieldwork or those looking to embark upon field research. Felicity Meakins is a Senior Lecturer at the University of Queensland. She specialises ?in the documentation of Australian languages in the Victoria ?River District in northern Australia and the effect of English on Indigenous languages. Myfany Turpin is a Research Fellow at the University of Sydney. Her research is in descriptive linguistics, poetry, song, ethnobiology and language revitalization. Jennifer Green is a Postdoctural Research Fellow at the University of Melbourne. Her main research interests are descriptive linguistics, lexicography, multimodality in narrative practices and sign language.